Having the protein in the meal was important to me, so I used some already cooked ground beef I had in the fridge, 7 of the bajillions of eggs laying around here, and I've been needing to use up the dehydrated peppers. Of course, my kids would have preferred bacon, but I wasn't going to make a special trip. 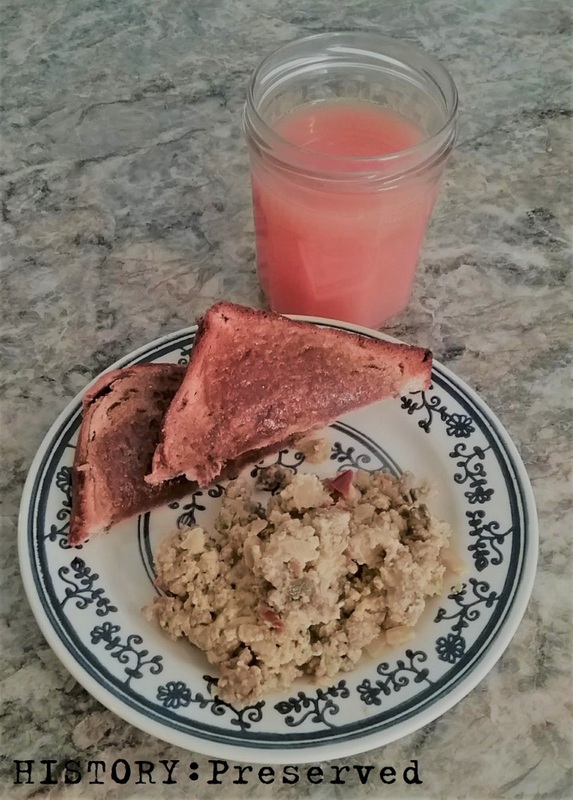 The egg scramble wasn't really a hit (I liked it! 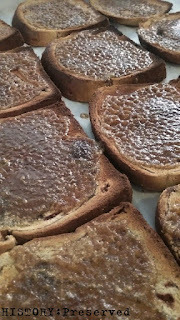 ), but the Butterscotch Toast on the other hand....! 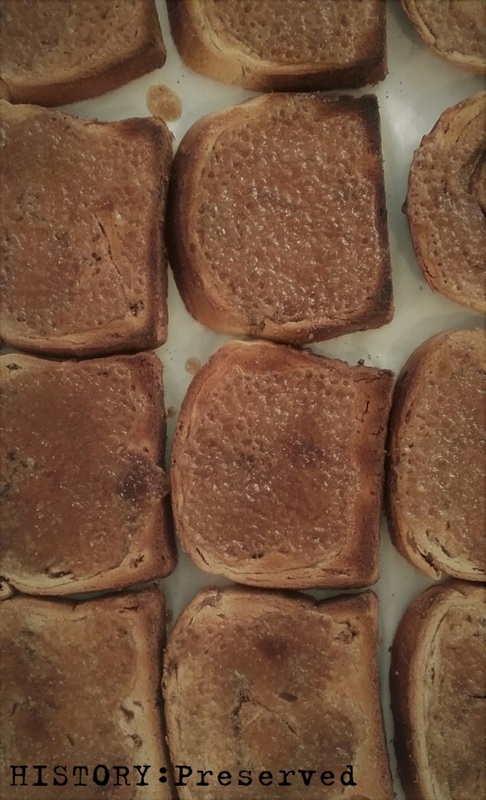 I wanted something easier than French Toast, and it totally was - you mix brown sugar and butter together, spread it on bread and toast it under the broiler. That's it! This stuff is really tasty and such a fun change from your run of the mill toast! 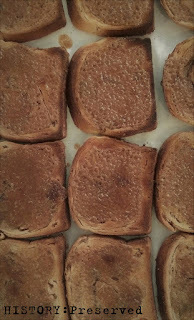 I used a brown sugar cinnamon swirl bread I had lurking in the freezer and it added that much more to the whole thing. Of course, if you're on a low-sugar diet, then this recipe is probably not for you. You could do the broiler method of toasting for any spread on top, really. Butter and honey sounds good too. Hopefully I'll get another chance to do another menu for this month! I'm also working on the grand finale of ration menus for the last month of the challenge. Be sure to check back August 1st! Butterscotch toast! What a fascinating idea. And it sounds delicious! You can’t really go wrong with brown sugar and butter! Wartime Menu Challenge: July's Menus are Here!